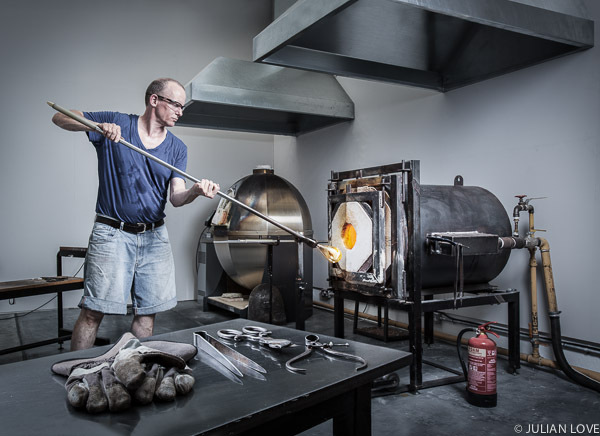 Michael Ruh and his wife Natascha are the couple behind Michael Ruh Studio, an award-winning glass blowing studio in Tulse Hill in south London. When I visited they were working on a spectacular chandelier destined for the Four Seasons hotel in Moscow. The furnace heats the glass to 1100C and the temperature in the workshop felt like it was only a few degrees cooler! Jessica de Lotz is a jewellery designer based in Clerkenwell. 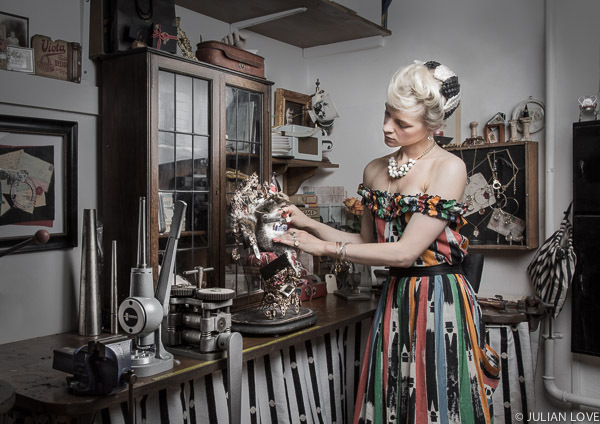 She designs and manufactures a beautiful range of quirky and inventive necklaces, bangles and rings in her retro workshop. She even does her own taxidermy on occasion, such as the patient squirrel in this photo. I've also shot 3 more for Saga Magazine which I'll show when the magazine comes out at the end of August.